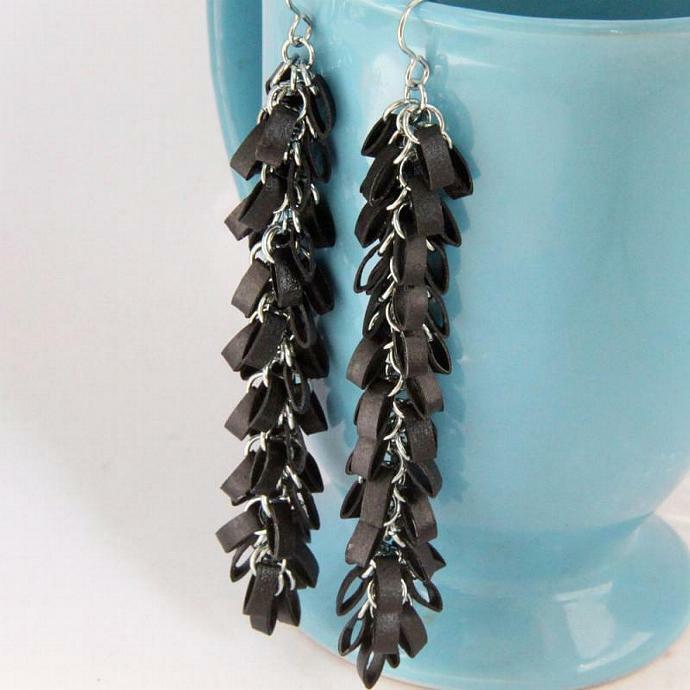 These fabulous eco friendly earrings are handcrafted by the art of paper quilling. 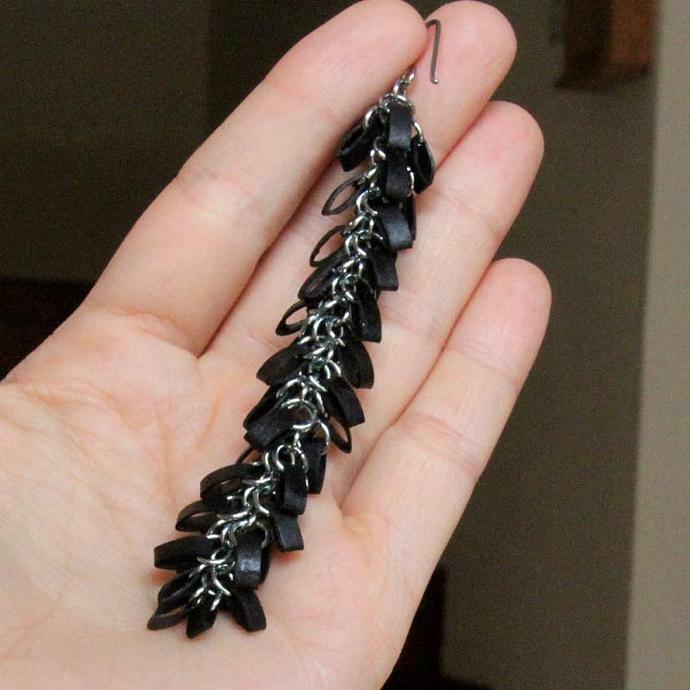 I used specialty quilling paper in black to create 48 tiny marquis shapes for each earring. I use all niobium findings for these earrings (all of the rings and earwires). Why niobium? It is non tarnish and it is as hypoallergenic as pure gold!! I love niobium! 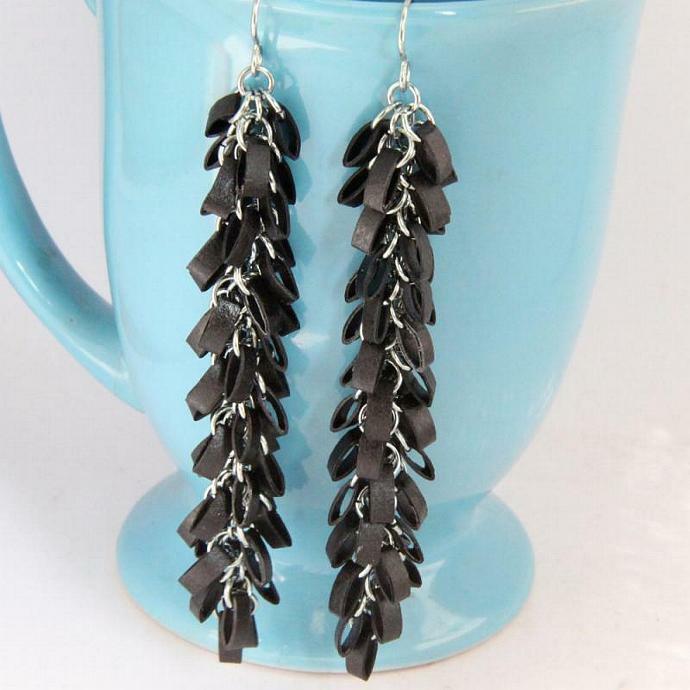 This pair of earrings would be gorgeous with evening dress, or use them to dress up your daily wear. They'd be equally fabulous for a night on the town! The shapes are hand varnished for a sturdy, water resistant finish. 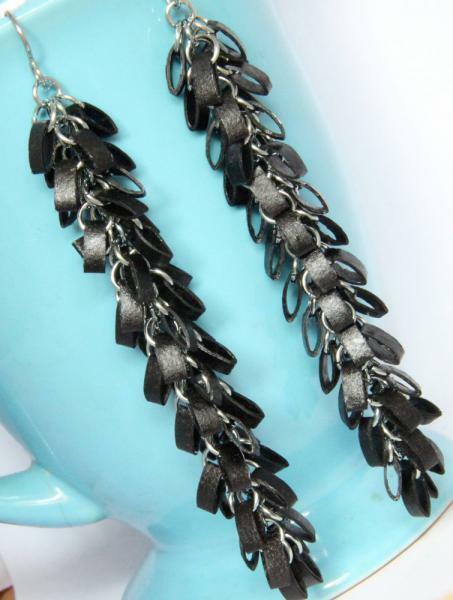 Each earring measures 3 3/4" (9cm) long. 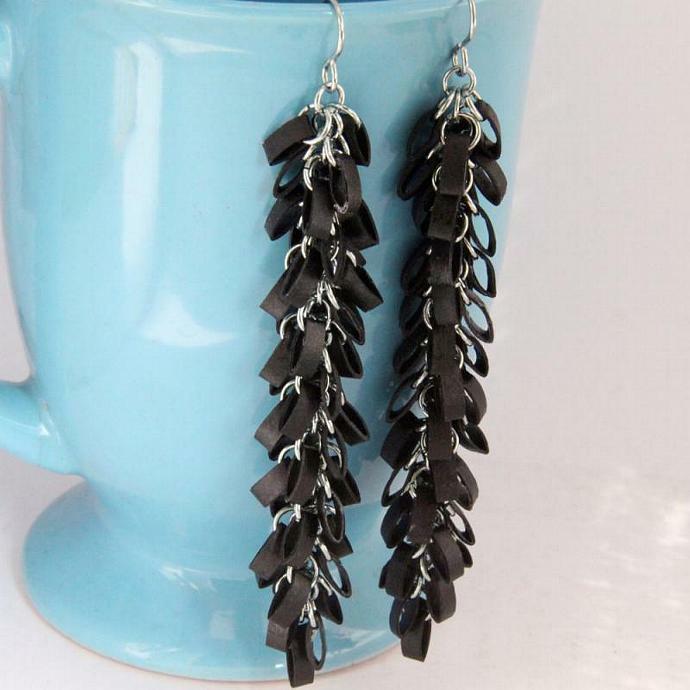 If you like the design but want a shorter pair of earrings let me know and I'll adjust the listing for you. Price will vary depending on length.